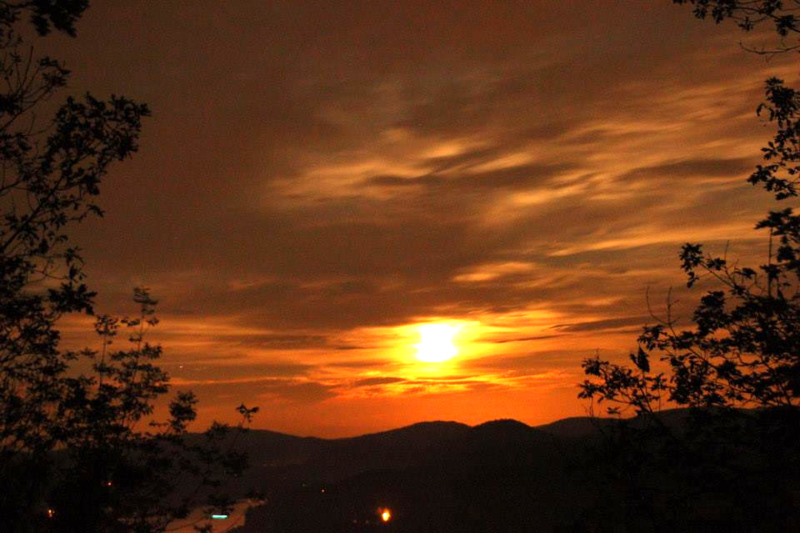 Andrew Silver captures a rare view of Schroon Lake from the top of Mt. Severance. The photo was taken in late July -- at the end of Andrew's month long stay here at Terra Alta -- when he and two buds, Larry Chasnoff and Eric Rosenbaum, took a midnight hike up the mountain to capture the moon rise. Unfortunately, it was a little cloudy that night, Andrew told us, but we think his hand held shots are amazing.